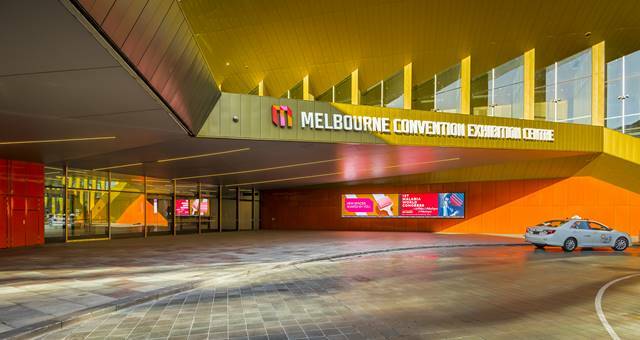 The doors at the Melbourne Convention & Exhibition Centre (MCEC) are officially open! The results of the MCEC's recent $205 million expansion project were unveiled this week by acting Premier, James Merlino. 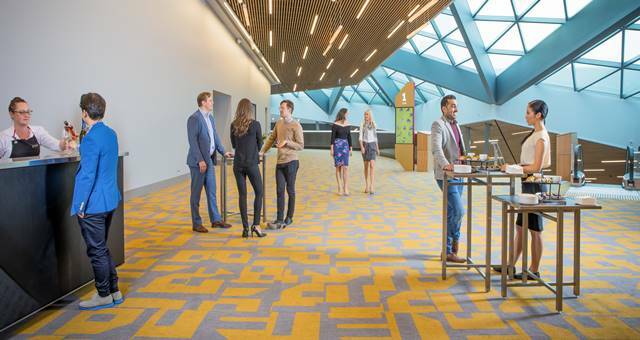 Increasing the event space by 20,000 square metres has created Australia’s largest convention and exhibition venue, featuring an impressive light filled foyer and a brand new MCEC main entrance at Convention Centre Place. Visitors can enjoy new exhibition halls as well as the spacious Eureka rooms, Sovereign Room, Goldfields Café and Bar and an outdoor terrace area. To add to the experience, the expansion project also includes a new 347-room Novotel Melbourne South Wharf and a new 1,150-space multi-level car park that are both fully connected and integrated with existing buildings near DFO South Wharf. MCEC chief executive Peter King said customer experience was front of mind when planning the design to ensure the facilities suited the needs of customers rather than constraining them to fit within the space. “We have delivered a world class facility that is functional, adaptable and aesthetically pleasing with a quality and sophistication that reflects the attributes of Melbourne,” King said. MCEC took inspiration from Victoria’s rich history in determining names for key spaces within its expansion. 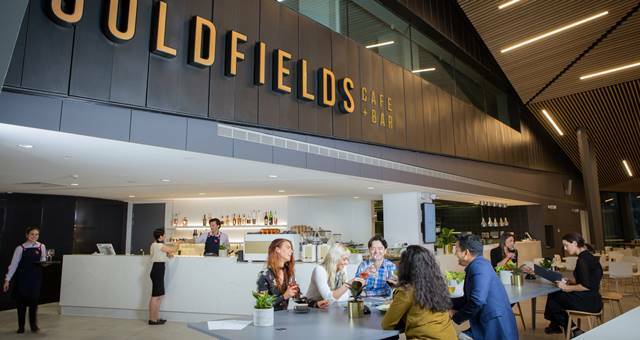 The gold colour of the expansion’s exterior culminated in Victoria’s goldfields becoming the theme from which names would be drawn.